Coronado has the advantage of two saltwater venues – the Pacific Ocean and San Diego Bay. The south facing Coronado Beach has gentle waves that are great for swimming, bodyboarding, and learning to surf. The Bay, with its calm surface is perfect for stand up paddleboarding (SUP) or kayaking. There are two shops in Coronado that specialize in all things related to our water sports. Emerald City (1118 Orange Avenue), which has over 25 years serving our town, is an upscale purveyor of surf clothing and boards. It is staffed by knowledgeable local residents, who can provide plenty of information about surf lessons and surf spots around the county. Another bonus - if you are looking for just the right size and color of TOMS shoes, Emerald City has a great selection. While you are sure to notice Emerald City with its big storefront and bright lights, a visitor might walk right by tiny Island Surf (1009 Orange Avenue), across the street. Opened in 1972, it is jam packed with “everything for the beach and surfing lifestyle”. They offer surf and SUP lessons, and rent surfboards, bodyboards and wetsuits. And they carry many more brands than Emerald City. If your idea of “water sports” is sun bathing with an occasional quick dip to cool off, you might want to find your way to Dale’s Sportswear (1150 Orange Avenue). Dale’s carries a huge selection of women’s bathing suits all year round. So if you forget your suit or can’t find one in the off-season, go to Dale’s. One other note, Dale’s supplies suits and accessories to Coronado’s water polo and swim teams. If you need true swim related products like goggles or swim caps, they have you covered. Finally, if you prefer your water calm and chlorinated, the Coronado Municipal Pool (1845 Strand Way) has adult lap swim times every day. It is a 50-meter competition pool and its diving boards are open on Saturday afternoons during the summer. A small recreational pool is also available. Head to our front desk to grab a pool towel before you head over. 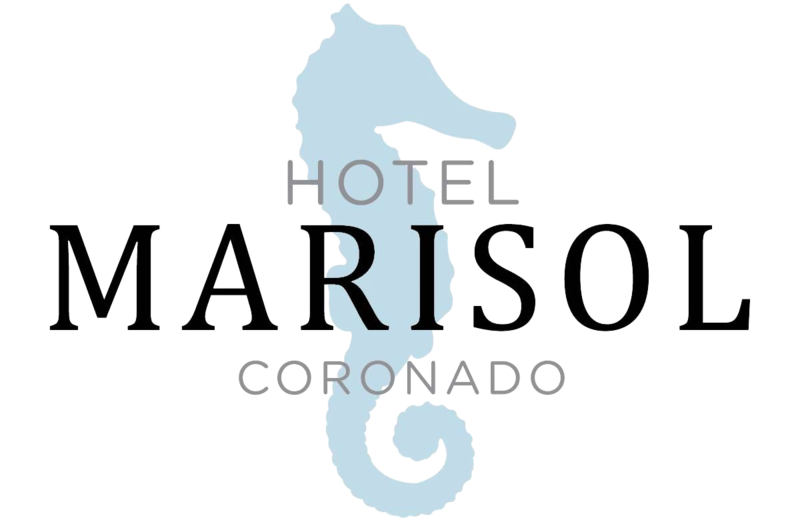 The Coronado Visitor Center (1100 Orange Avenue) is right around the corner from the Hotel Marisol and its staff can assist you with specific brochures for the sport of your choice.